Each dancer is asked to be available to dance for one 6-minute piece, which includes a 2-minute group piece and your 1-minute solo. Dancers also have the opportunity to dance in two pieces if desiring to display an additional style of dance. For the performance, you will be grouped with other dancers in the same genre of dance. All movements are choreographed and/or freestyled by you, and the music will be provided for you. Your body, movements, and passion for your dance style will be on display throughout the performance, AND your solo is your HIGHLIGHT – all about you expressing who you are! 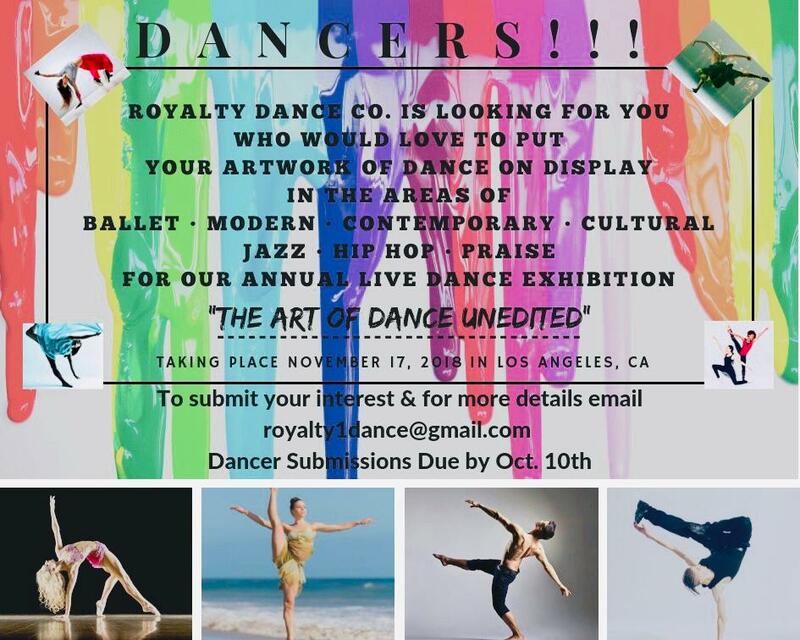 *If interested, please email 1) your preferred dance style(s) and 2) video footage of you dancing your preferred style(s).